Literature on the financial system discusses two ways that crises come about: price inflation of assets followed by deflation; or a bank run causing a cascade of bank failures, destabilizing the entire banking system. In both cases, the trigger point of the crisis is exogenous to the financial system (expectations, preferences shock, sunspots). There is a grain of truth in all this, but it precludes the possibility of analyzing how instability is generated within financial markets and the incentives motivating the various players. 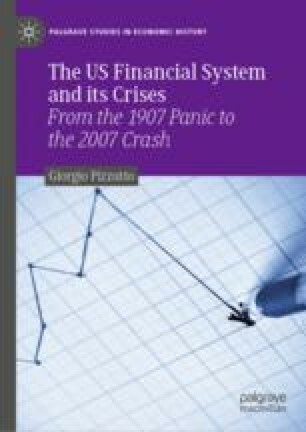 In the following chapters, an analysis of the endogenous dynamics of the financial system is the method that allows us to understand the crisis. The connection between monetary policy, non-bank financial intermediation, and financial markets explains the growth, crisis, and stagnation of the US financial system.